India, (6/12/2018): With less than three weeks left for the 8th Maruti Suzuki Arena Mumbai Comic Con, the tinsel town is already brimming with enthusiasm and anticipation for the biggest celebration of pop culture around the world. As fans have begun preparing their costumes and honing their digital gaming skills, Mumbai Comic Con gave them an opportunity to reminisce with the most fun board game fiesta of the year. Held on 2nd December, the event was organized in association with Board Games Dash and Doolally Taproom. The Sunday afternoon saw a nostalgic gathering of both board game fanatics and rookies alike. 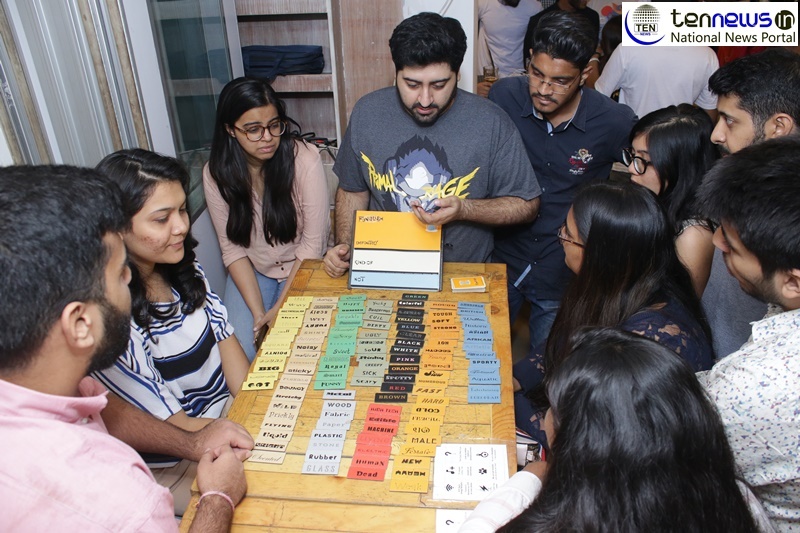 Offering a respite from the monotony of life, enthusiasts attended this event to relive their childhoods as they sat back and indulged in a healthy and fun competition of ‘tabletop gaming’ with their friends. An array of classic and new games were played, such as the likes of Secret Hitler, Take 6, Liar Dice, Cards against Humanity, Taboo, Two Rooms and a Boom, and Kodama, among several others. Organized in association with Mumbai’s original and oldest board gaming community, the event served as the best prologue fans could have asked for to the upcoming convention, also referred to as #TheBestWeekendOfTheYear. The 8th Maruti Suzuki Arena Mumbai Comic Con will be held on December 22 and 23 at Bombay Exhibition Centre (Nesco). Experience the best of the pop culture universe with an array of comics, graphic novels, movies, animation, television, gaming and all things fantastic at India’s largest pop culture convention. Celebrate with a vivid showcase of the best cosplay talents, the most amazing artists and guests from iconic franchises, uber-cool merchandise, awesome workshops and book launches at the best contemporary and classic pop culture universe from across the globe! The properties include Delhi Comic Con, Mumbai Comic Con, Bangalore Comic Con and Hyderabad Comic Con. Along with a traveling property – Comic Con Express, which was last held in Pune in 2016. Comic Con India (CCI) took a big leap as they recently (in September 2014) by announcing a joint venture with Reed Exhibitions; part of the FTSE listed Reed Elsevier Group, to grow the pop culture space in India and bring world class events to Indian fans. The Comic Con India team will now work closely with the ‘ReedPOP’ division of Reed Exhibitions, the largest producer of pop culture events in the world.